I am not medically qualified, however, if your MRI has revealed Cauda Equina nerve root compression then I would expect you to have surgery; i.e. within 24 - 48 hours of diagnosis. I recommend that you go to your GP urgently and press for this. Whether earlier surgery would have resulted in a less adverse outcome is a more difficult question. 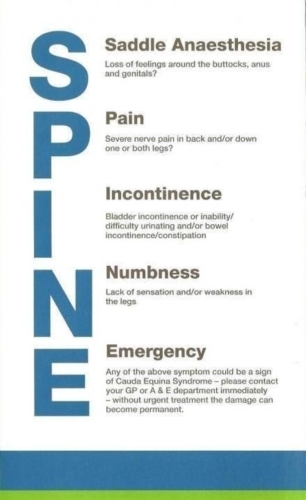 I recommend that you consult a Medical Negligence Solicitor with experience in Cauda Equina Syndrome claims. good to a&e say u can't wee and poo and ur other leg problems. I was left for 6 day I have established causa equine syndrome. I have a colostomy and a ileal conduit wee stoma. I have mobility issues u have the say history as me. I was let down I got 1.2 million in a outer court settlement. I have further problems I would not of had they left my bladder in that at to be removed as it went septic I have had 3 big hernia ops 2 colostomy revisions. I have had c5 6 7 in my upper spine I have spaces plates and cages. and last November I was found to have a full compression of l3 so I had a complete back overhaul stretched spacer decompression rods screws plates and back fusion I and still in very bad pain. it should get better I have severe nerve damage from my 1st compression. that's the short vision I was lucky I was seeing my go about a different problem my weeing he sent me straight to a&e. you go to a&e make sure u do don't carry on like u are I was 50 I am 61 now. I was lucky that as soon as my symptoms appeared my DR sent me to the hospital and i had emergency surgery that day. 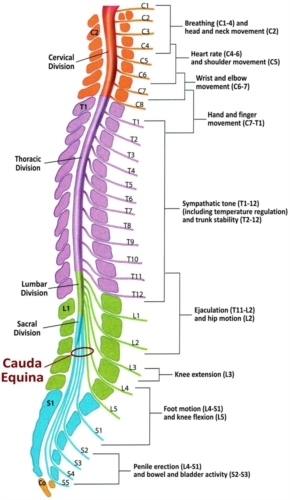 My cauda equina came on very quickly. I was already in unbearable pain but the heel drop and bathroom issues came on quick. I consider myself lucky but am over a year post op and still not back to normal. Do whatever you can to escalate. Good luck, I know how terrible this is. I wish you the best, Steven. My symptoms set in very quickly and I was diagnosed, and had surgery, within 24 hours. The pain was unbearable and almost brought me to tears. I am 40, and 15 months post OP, and still have neuropathy through most of my left leg and foot. Pins and needles sensation throughout and constant and gabapentin didn't work very well for me. Some of the symptoms you have are very similar to mine. Do whatever you can to escalate this issue with your Dr, you know your body better than anyone else. Good luck, I know how scary this is. if you are experiencing these issues you need to present to A&E asap. DON'T DELAY. Any delay could result in perm damage. This unfortunately happened to me. I'm 46 and 5 years since my worst symptoms. However due to medical misdiagnoses then issues with ambulance crew and consultant it took them 8 days to do anything. It does seem that in this country alot of Dr's know the symptoms but not how to handle it. If you are suffering urine retention and loss of bowel / numbness in the saddle area and the most excruciating pain you need to get emergency help. I hope you get the help quickly. unfortunately because of the delay I'm going for my 3rd operation which will be in 3 months time (unless It gets so bad that i present as an emergency) and this time they are looking to insert rods to stabilise my spine. Please for your own sake go beyond the GP and go directly to A&E as itsa medical emergancy which your GP should have known and acted on. Hi Steve, I'm a retired surgical nurse, working part time to make ends meet, when I started having symptoms of numbness and tingling on my feet. I won't go thru the whole history, but when I started having issues with urinating, and had to support my entire weight on my arms using a walker, went to the ER. I was transferred to a hospital with an appropriate neuro-orthopedic physician at 3am and was in surgery by 6am. 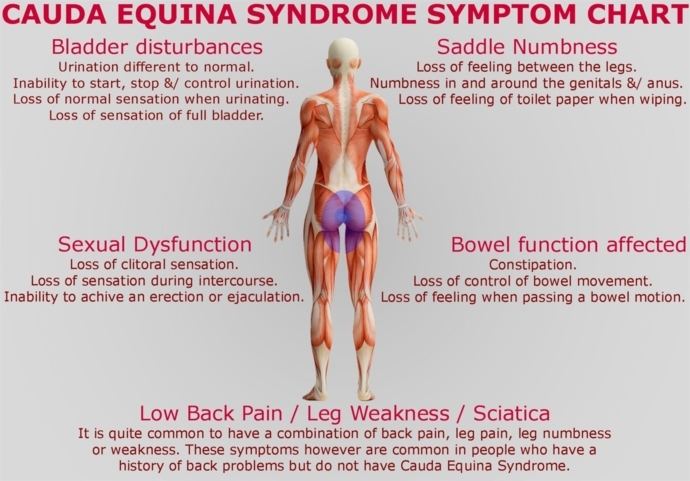 Cauda equina syndrome, according to my doctor, is a medical emergency and should be taken care of as soon as possible. It sounds like you have a different type of health system than I have, but please do whatever you can to get taken care of. The longer the wait to get decompression of the spine, the longer the recovery. Not being able to urinate is a major health issue. I was very lucky. My ability to urinate voluntarily returned while I was still in the hospital, after 2 weeks. My legs are still somewhat numb and I'm restricted to a wheelchair, but with therapy and time, I expect to get better. My surgery was on 12/27/18. Good luck! !